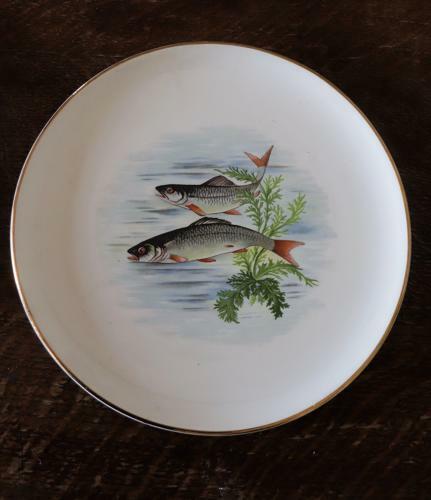 Set of 8 fish plates and a platter. Each set is slightly different and has a maximum of two plates which are the same. The plates have gilt edging. I am not sure of their age. They were sold to me as being 50s but I think they are probably more modern. The price is £68 for a set of 8 plus the platter.